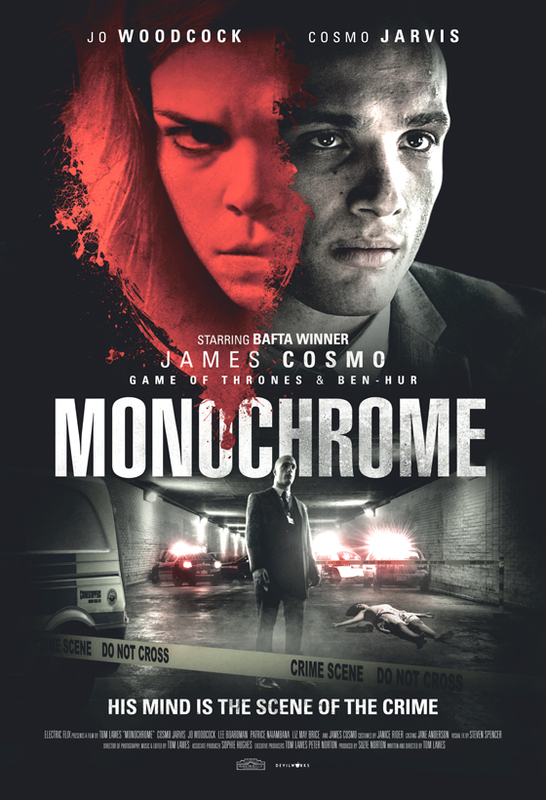 Monochrome is an upcoming action thriller from the UK and the good people at Devilworks. Writer/director Thomas Lawes gives us a unique version of the all too common game of cat and mouse involving a young lady on the run (Jo Woodcock), and the investigator (Cosmo Jarvis) who tracks the bloody trail she leaves behind. Yeah, I know this is a vague description, but sit tight and hang around to see if Monochrome is a one-note wonder or a brilliant bit of coolness. Monochrome is basically about a woman (Woodcock) who’s a serial killer, out for revenge against the wealthy, because money has done her wrong. Especially once her boyfriend pulls off a gigantic heist, and she goes on the run from the police. She finds shelter with various wealthy types, trading housework for room and board, but things get bloody for one reason or another. Throw in a young detective who possesses synesthetic abilities, like the ability to hear colors and see sounds, to hunt her down and it’s game on! I’m not going to break the story down or really tell what happens, other than what I just wrote above, because it would get too involved and nobody’s got time for that. I will tell you that Monochrome is a good movie. 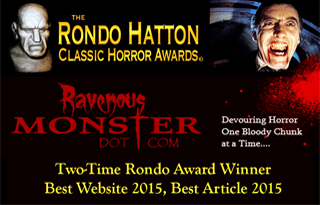 It’s not heavily reliant on anything in particular to get its story across. The story itself is pretty enjoyable, albeit slow in some parts, making the 110-minute runtime seem longer. The acting and cinematography are very well done. One last thought, and I don’t know if this is really a critique or not, but I feel that this movie could work well as a Netflix or a Hulu series. I’d binge watch it for sure. Monochrome is well worth a watch.